Carmakers achieved their best domestic sales figures in March, the last month of the financial year 2016-17, since demonetisation, with more than 10 per cent growth year-on-year (Y-o-Y). The sector sold over three million units in FY17, a milestone. In FY16, 2.78 million units were sold. 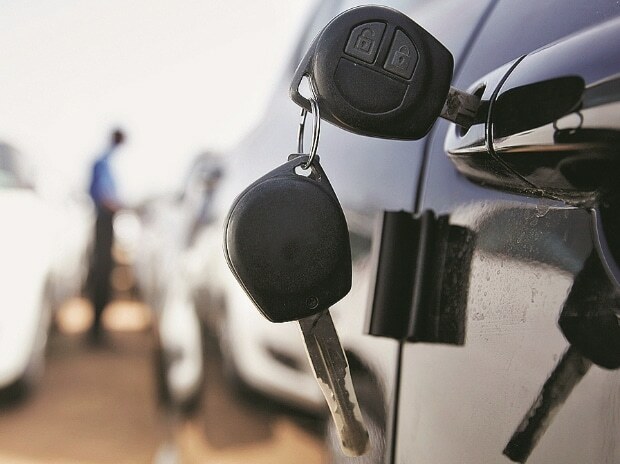 India, the fifth-largest passenger vehicle market globally (cars, vans and utility vehicles), had registered a volume growth of about nine per cent in FY17. Prime Minister Narendra Modi had announced demonetisation of old Rs 500 and Rs 1,000 notes on November 8, 2016, sucking out about 86 per cent of the currency in circulation and hitting demand. Car volumes started recovering in January this year. The country’s largest carmaker Maruti Suzuki reported a domestic sale of 127,695 vehicles, growing at 7.4 per cent over March 2016. The growth was led by the compact and utility vehicle segment. In FY17, domestic volume of the company stood at 1.44 million, up 10.6 per cent from the previous year. Korean carmaker Hyundai, the second-largest player in the Indian market, reported a growth of 8.6 per cent in March. Rakesh Srivastava, senior vice-president (sales and marketing), said three products — Grand i10, Elite i20 and Creta — drove the March numbers, which stood at 44,757 vehicles. For the entire year, the company sold a record 0.5 million vehicles in the country, growing at more than five per cent. Utility vehicle major M&M is yet to announce its March numbers. However, it is learnt to be the only player in the list of top five to have shown a decline. The company’s volume is estimated to have declined around six per cent to 25,352 units last month. M&M, the third-largest player in the domestic market, has not seen a single month of growth since demonetisation. Its full-year performance is also impacted and volume growth has been flat. Tata Motors has reported a strong volume growth of 82 per cent for March. The company sold 15,433 vehicles in the domestic market during March. Its volume growth in FY17 was 22 per cent. Mayank Pareek, president of the company’s passenger vehicle business unit, said the demand remained high for Tiago and Hexa. Tata Motors launched a compact sedan Tigor on Wednesday and anticipates stronger growth ahead. Japanese auto major Honda, which occupies the fifth position in the domestic market, has started seeing growth after a long gap on account of two new products — the new Honda City and the WRV. Its Japanese peer Toyota has shown a much stronger performance with 80 per cent growth last month. N Raja, director and senior vice-president (sales and marketing), said Toyota is riding on two products — Innova Crysta and Fortuner. Launched almost a year ago, Crysta still commands a waiting of one month. Renault, which has seen a strong growth in past many months owing to Kwid, is apparently seeing a base effect. Its volume in March declined close to two per cent. A healthy double-digit growth was also posted by Ford, Nissan and Volkswagen. Amit Kaushik, managing director for the Detroit-based automobile consultancy Urban Science in India, said volumes were being driven by positive sentiments, new launches and favourable interest rates. “Apprehensions of price increase in the new financial year have also triggered purchases,” he added.